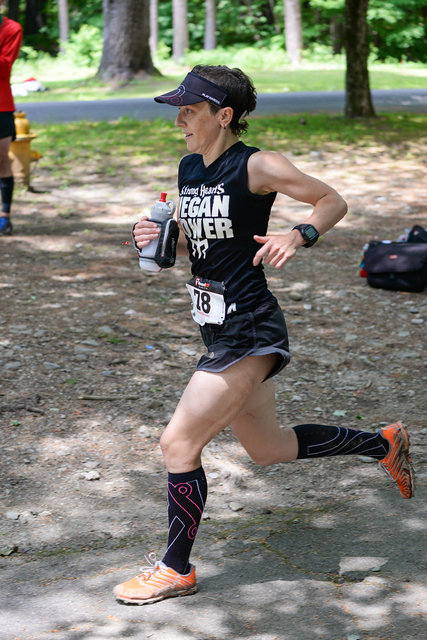 Last June I raced the inaugural Vegan Power 50k (how could I pass on this event?) and finished 1st female overall. The award for this finish was pretty sweet – a 1 night stay at the nearby Red Robin Song Guesthouse. Since it is located a 1/2 hour from Pittsfield State Forest where the race takes place, why not stay there the night before this year’s race? 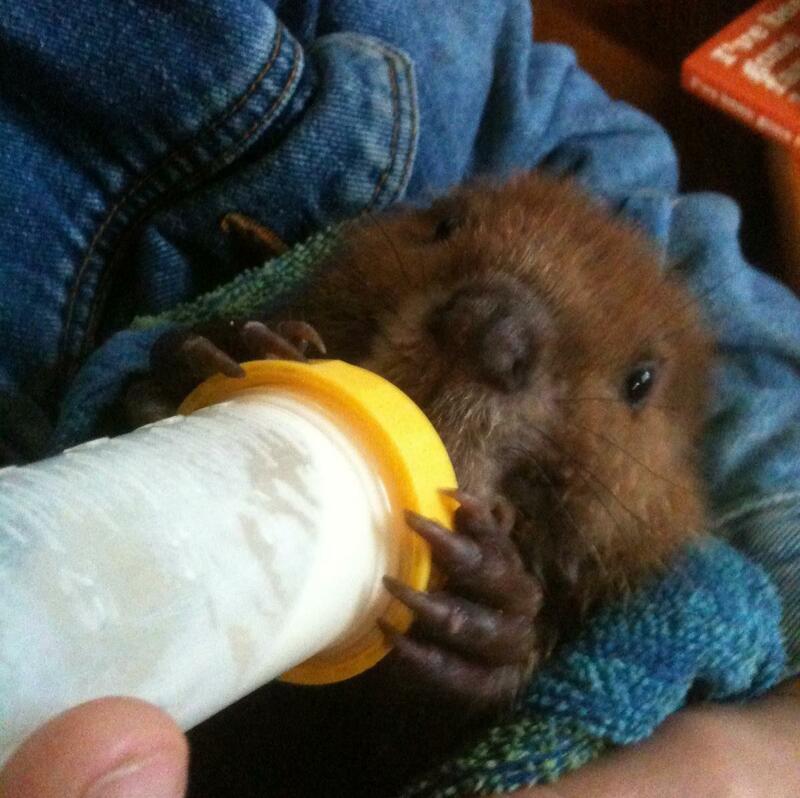 I knew it was a vegan bed & breakfast, an animal sanctuary, and a beaver rescue. Other than that I had not heard anything about it and was excited to check it out. Now that I’ve experienced it, the actual “race” part of this report will have to wait as I tell you just how awesome it was! Red Robin Song Animal Sanctuary is located on a remote back road in West Lebanon, NY nestled on 85 acres of land. The house is beautiful, inside and out. 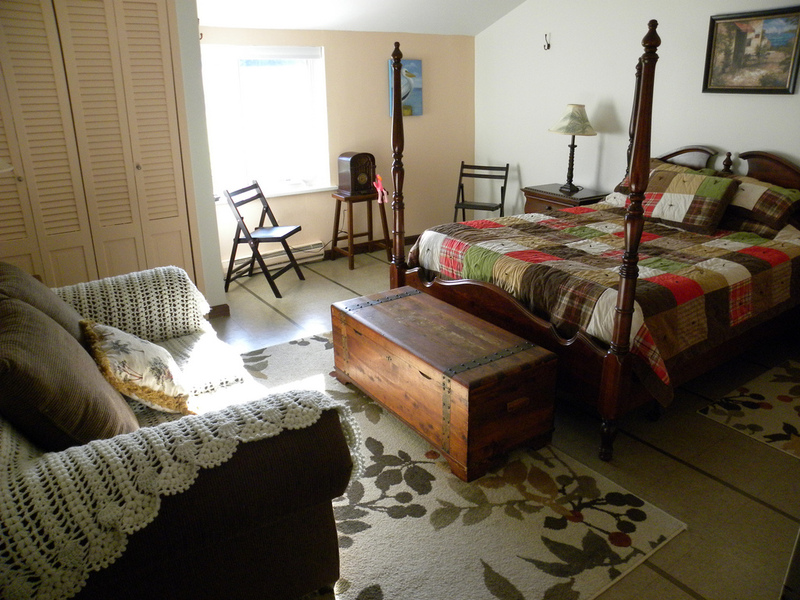 They have 3 guest rooms that can be reserved – each very comfortable and tidy. We had the Pelican’s Roost. Jeff and Lisa are as friendly as can be – they are super-accommodating and happy to share their beautiful haven with their guests. After showing us around the house we took our dinner outside to sit at one of the picnic tables surrounded by animal enclosures. It was hard to focus on eating when I wanted to run around like a little kid visiting all of the animals who were anxious for attention from these new guests. 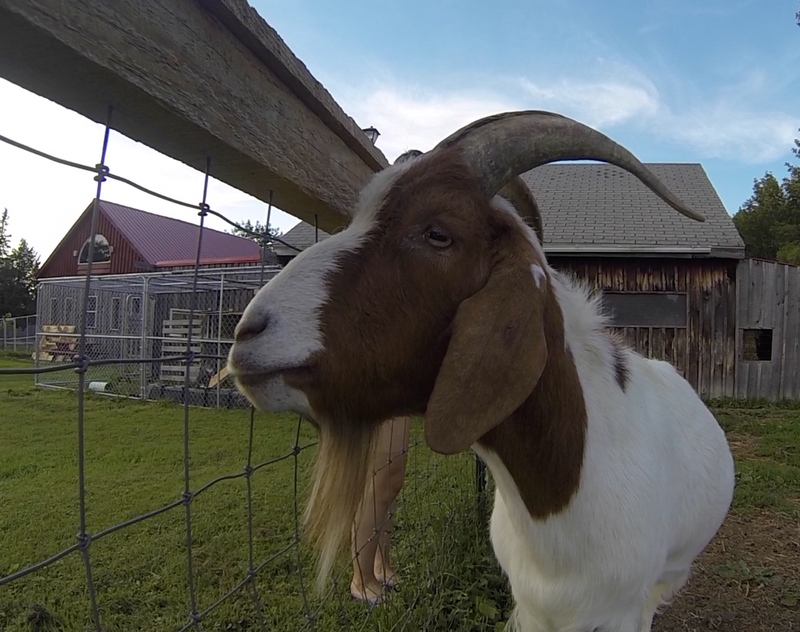 I spent some time getting to know the donkey, goats, sheep, and of course…CATS!! Then I wanted to learn more about the beavers, and Lisa was more than happy to share. 2) beavers are territorial and only 1 beaver family will occupy a body of water. 3) beavers cannot be released over state lines. NY beavers must stay in NY. So along with the two statements above, finding locations to release beavers proves to be difficult. If anyone in NY has water on their property and would like to host a beaver family, please get in touch with Jeff and Lisa. Private property is the preference so that the released beavers won’t find themselves in a trap again. Lisa showed us a pond on their property where 2 of their beavers (Whittle & Timber)were released and had just started their own family. She brought them some apples in hopes that they would come on shore and we could meet them. Since they already ate and were unsure of these new strangers standing nearby we only saw them swimming around to check us out. Still very cool! As if I wasn’t already in love with everything about this place we returned to the house to see Jeff cradling a 7 week old beaver in a towel in his arms. That baby made the cutest noises! One of the aspects of ultra/trail running that people love is the feeling of community. At the Vegan Power Ultra that sense of community is ten-fold when we all share the common interest of racing for a cause dear to our hearts. We arrived at Pittsfield State Forest bright and early and I was already excited to start seeing familiar faces. Race directors Ana, Mike and Jake were all smiles with warm welcomes as they know almost every runner by name. I was excited to see returning friends that I met at last year’s race along with fellow Strong Hearts Vegan Power teammates who joined this time around. And of course my circle of friends expands as I meet new racers. As for the race itself, I’ll try to keep it brief. I could tell during the first lap – the first mile even – that it was an off day for me. My whole body felt fatigued, I didn’t feel smooth, and things just weren’t clicking. It was awesome to run that first mile with friend and fellow Strong Hearts Run Club teammate Jason Mintz who later went on to win the race! After mile 3 I convinced myself that it was just going to take a bit longer for me to warm up today due to the racing I’ve been doing and lack of training in between. This seemed to work temporarily and I finished loop 1 just under my target time of :45. As soon as I started loop 2 I realized I was fooling myself with this “warm-up” theory, and that today would be about endurance and mental focus. The focus was to just keep moving forward, preferably as fast as I could manage 🙂 For a good laugh, my lackluster performance was pointed out to me on loop 3 when an athlete passed me and said “C’mon…I’m never supposed to see you during a race. Unless you’re lapping me like you did last year.” Touche. Each loop got consecutively slower but I still managed to defend my title as first overall female – with a time quite a bit slower than last year. Now came the real treat of the day – cheering on and hanging out with friends. And of course the amazing post-race vegan feast. I’m no stranger to Baba Louie’s delicious pizza and they kept us well-stocked! All in all it was a perfect day. The race nearly doubled in size from last year and I’m sure it will continue to grow each year. You better believe I will be back! This entry was posted in race, race report, Red Robin Song Animal Sanctuary, Red Robin Song Guest House, trail race, trail running, ultra running and tagged BURCS, Catskill Animal Sanctuary, race, race report, racing, Red Robin Song Animal Sanctuary, Red Robin Song Guest House, running, Strong Hearts Vegan Power, trail racing, Vegan Power, Vegan Power 50k, Vegan Power Ultra, x-talon by lljkline. Bookmark the permalink. Hey Laura! 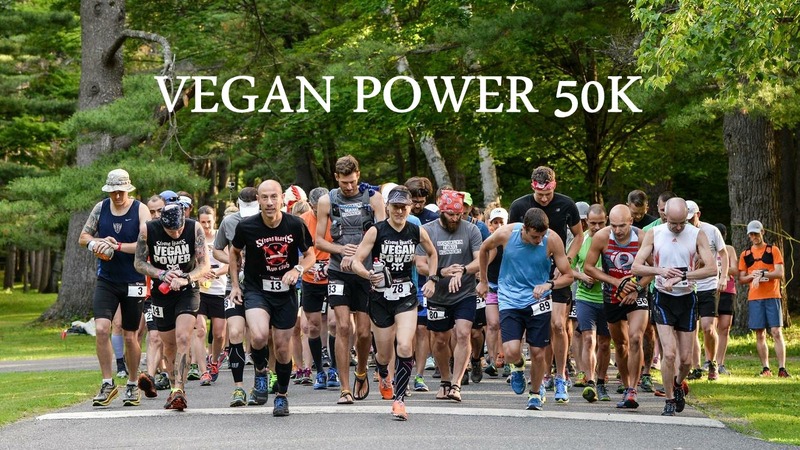 You recently added me to the Strong Hearts Vegan Power racing team for ADK. I am really excited to meet everyone and am now really intimidated by all your accomplishments! I cannot wait to be on your team. You embody what I would love to happen with my racing career!